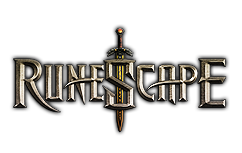 Home>>Runescape News>>Revolution will be here! Pick-up your swords, bows and wands. Revolution has arrived! "How dare you are making improvements depending on just what community has called for! I will "quit" now and make sure I let everyone learn about it, while they will not ever care and i also will not quit! "you see somebody obviously mind this revolution. Of curse you'll find somebody Respond it by saying"Actually I bet even if they simply simply changed the combat system back, or compromised people would still find something diffrent to complain about. It takes place day in and day out. I actually think this is a good edition to combat. Why quit over items like this? Simply quitting because an update isn't everything you wanted so that it is. But despite the fact that your quitting you will look at Facebook and keep adopting the runescape page simply to specifically say your quitting and complain even more! Have you thought to just go and play another thing by leaving us non whiners with it." People will invariably complain about things and it is an oversight to be handled by them. "Legacy even is a compromise. I voted yes for Legacy because it's exactly what the majority wants but I am wondering hopefully was a option, as you say people will always complain. ""It's like building your bank account over numerous years of progress depending on the previous combat system then your entire time which you've invested gets dumped on. Tbh i don't even find EoC enjoyable, it's simply clicking abilities constantly. I go for the earlier system that you STILL could multitask and wish for a "high" hit and comboing. ""But everyone was complaining about things before EOC even happened. So basically things i am saying perhaps there is is definitely destined to be people that aren't happy. If they never created EOC im sure people would nevertheless be complaining and whining even if updates usually are not what they desire. In truth that is that goes." I'm sure game is not perfect because perfection is, after all, relative. Plus a game can not be ideal for everyone. But you can't disregard the fact that the majority of the people complaining now, including me, will be in respond to EoC, which can be terrible. Just examine Jagex's profits/Revenue/Players Online. Numbers don't lie. People played RS as it was obviously a different combat interface through the standard MMO.